May from 15th to 18th, 2019. 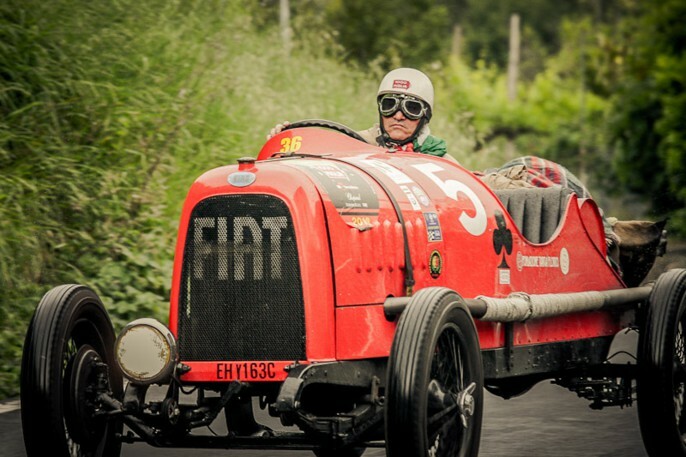 Of all the many events held in Brescia, the most famous is without doubt the historic Mille Miglia, the car race from Brescia to Roma and back for cars built between 1927 and 1957, years of the original editions of the competition. The course is crowded with hundreds of thousands of spectators to watch the most beautiful cars in the world, Mercedes, Bentley, Ferrari, Alfa Romeo, Porsche, Maserati etc. but also the more modest Fiat 500 and Volkswagen Beetle. It was in 1927 that the race “of the Freccia Rossa” was created by four friends (Renzo Castegneto, Maggi, Mazzotti, Canestrini). It became an immediate success with the public and was repeated 27 times until in 1957 when an accident which involved the racing car driver De Portago brought the race to an end for safety reasons. In 1977, on the fiftieth anniversary of the original race (not to forget champions like Taruffi, Nuvolari, Biondetti, Moss, Villoresi, Fangio and Marzotto), another group of friends decided to bring the historic Mille Miglia back to life, not as a race but as a participation event. Besides being of major sporting interest, the Mille Miglia, which leaves from viale Venezia every year, brings together people from all over the world; not just automobile enthusiasts but personalities from the worlds of sport, the media and politics who vie for the opportunity to get a seat driving one of these magnificent machines. 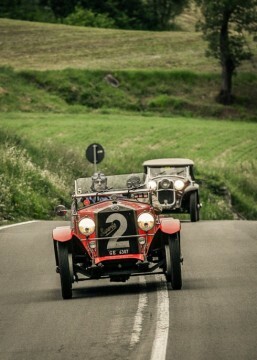 When the Mille Miglia takes place, many towns hold events to celebrate the occasion: plays, concerts, out-door parties in which folkloristic groups, coming from areas where the cars pass through, take part.